Many people prefer to hire help to do a professional cleaning and do all those pesky jobs around the house which, to be honest, take a lot of time and everyone tends to avoid during the week. In addition to this, the cleaning professional can make our house sparkle in half the time or even less than it would take us to do it. So the question remains, how do they do it? Are they using some special tricks and methods that we are not aware of? Or they just use their special cleaning superpowers. We have talked with our cleaning ladies trying to get to the bottom of this and here are some of the tips they shared. Hands up for anyone who tends to wipe around objects left on surfaces. 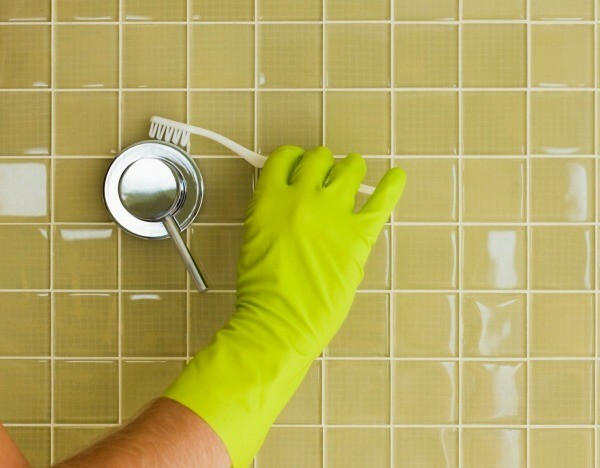 This is something that we all tend to do to hasten the time of cleaning. The problem is that you will be left with some ring marks. If you pick up objects and clean under them with a wet cloth the same thing happens when you put them down immediately while the surface is still wet. Try to remove any temptation of putting things back by removing unnecessary things from your rooms by decluttering them. The thing is that you don’t have to hide everything in a closet or give away your stuff, just to remove things that you don’t use every day. With this done the cleaning goes a lot faster and a decluttered home gives out a cleaner vibe from the beginning. When a cleaning team comes to do a professional cleaning job they come prepared with all the necessary equipment they would need for the job, or when a cleaning lady comes she first gets all the necessary products for the session before beginning her job. This saves valuable time when doing a thorough but fast cleaning. Instead of keeping your cleaning appliances spread and stashed on different shelves and in different cupboards just put them all together in a tray, bucket or in a caddy. Then you can bring everything with you going from one room to another without losing time. If your house is big then make two or more of these cleaning organizers so that you can keep one on each floor. Every cleaning professional knows when and where they need to be and what time they would need for a cleaning job to be done. They are highly organized to finish their jobs in the given time. This doesn’t seem to be an attitude that most people keep. Set up a weekly cleaning schedule, this way you will get used to doing your chores and gain speed in doing them. You can also time yourself and try to beat the times making it into a game with which you will be motivated to do everything better and faster all the time. The most important thing is when making the schedule to stick to it. Maybe it is inconceivable for many but many of the surfaces can be cleaned just using your toothbrush. The important thing is that you don’t use the same toothbrush which you brush your teeth with. The toothbrush is a handy little tool which can be used for cleaning many surfaces and it is something that is a must-have in your cleaning basket. The list can go on. Basically adding a toothbrush in your cleaning inventory is a necessity for all those weird areas that are just unreachable otherwise. This is just the beginning. We will continue with the list of cleaning tricks and essentials on the next blog post.